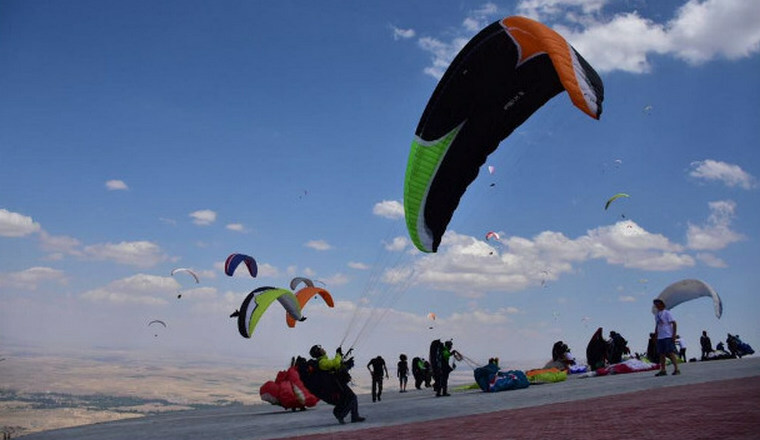 Event 5 of the Paragliding World Cup took place from 8 August to 15 September, for the first time ever, in Aksaray, Turkey. The PWCA is a non-profit organization. All incomes are re-invested to improve future competitions and the pilots' general assembly elects the PWCA committee according to the PWCA statutes. A World Cup event consists of one registration and training day, usually on Saturday, followed by seven competition days from Sunday to Saturday. The Super Final consists of one registration and training day, usually on Tuesday, followed by 11 competition days from Wednesday to Saturday. 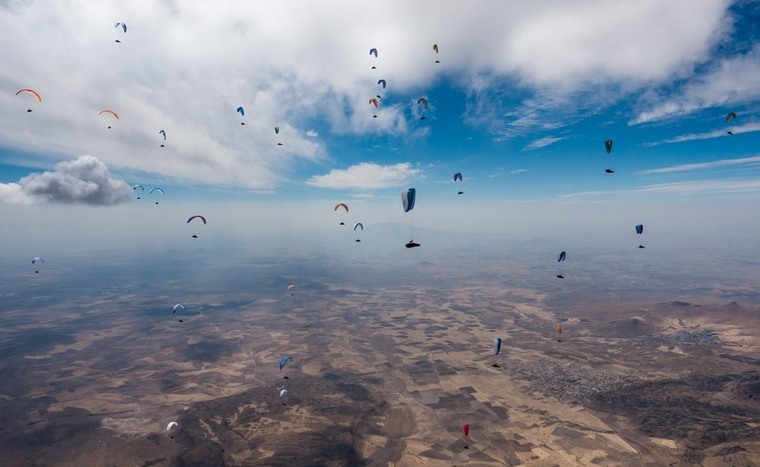 The maximum number of participants is 125 pilots. This number includes up to five wildcards for the organizer, up to three wildcards for the PWCA and any partner wildcards. Partners are given one wildcard per year. 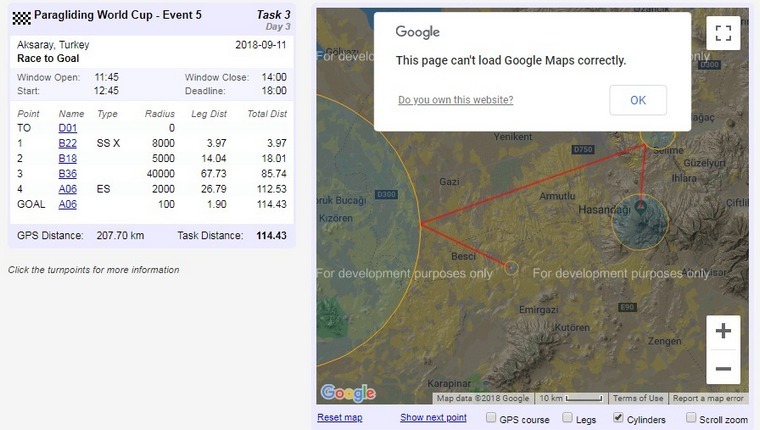 Timed Tasks: In all timed tasks the course is the same for all pilots. The course starts at take-off, passes around zero or more turn points and terminates at the goal. Part, or all, of this course is designated as the speed section. 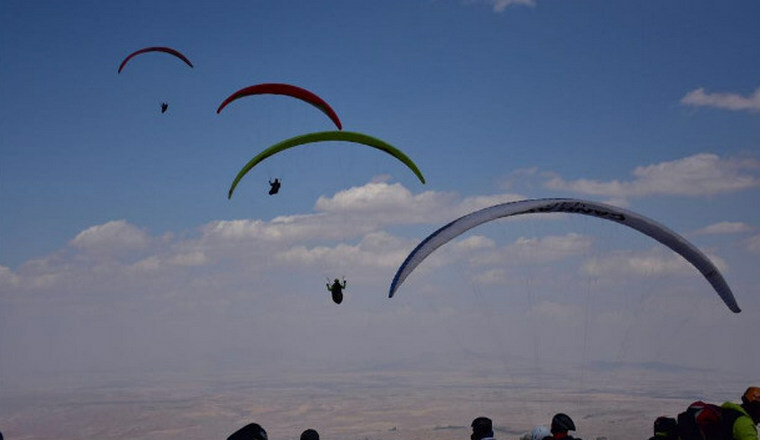 The objective is to fly around the course and, in the process, along the speed section in the shortest time. Race to Goal: A Race task uses a single start time. The first pilot to complete the speed section has the shortest time. Clock Start: A Clock Start task uses multiple start times, normally at fixed intervals. A pilot's start time is defined as that start time after which he starts the speed section for the last time, to continue and fly the task. Elapsed Time: An Elapsed Time task gives an individual start time to each pilot. A pilot's start time is taken when he crosses the start for the last time, to continue and fly the task. A start opening/closing time and last start time can optionally be set. Distance Tasks: In all distance tasks the aim is to fly the longest distance. The course can start with one or several turn points. Free Distance in a Sector: The objective is to fly as far as possible from the take-off or the last turn point within a predetermined sector. Distances are calculated as the shortest distance from take-off, around any turn points, and thence to the point in the track log most distant from the last turn point. Free Distance on an Axis: The objective is to fly as far as possible along a predetermined axis from the take-off or the last turn point. Distances are calculated as the shortest distance from take-off, around any turn points, and thence to the most distant of points on the axis obtained by perpendicular projection of the points of the track log onto the axis. Representing South Africa were Khobi-Jane Bowden who was placed 86th overall in the leg held in Brazil, Stephan Kruger who was placed 73 overall in Bulgaria, Andrew Smith who finished 90 overall in Brazil, Russell Achterberg who finished 32 overall in Brazil, Jon Pio who was placed 77 in Brazil as well as Theunis de Bruin and Andre Rainsford. With mega thermals and a Super Final place in mind for many, the 5th leg was fiercely contested. 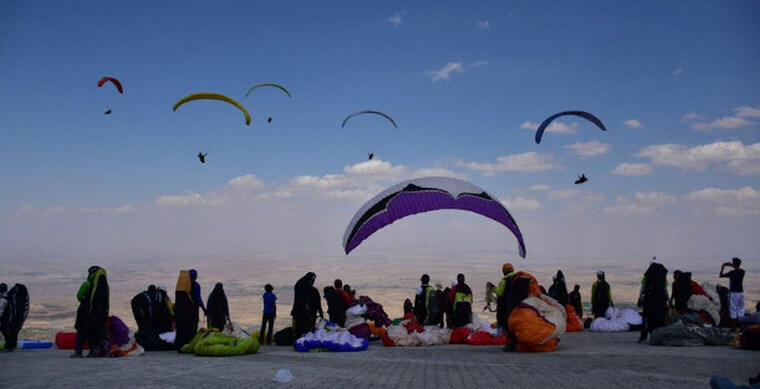 It was also the last leg of the 2018 season and the final chance competitors had to get a top 15 place, or top 3 ladies place, for automatic selection to the ultimate paragliding competition, the World Cup Super Final that will take place in Baixo Guandu Brazil from Tuesday, 5 March, 2019 to Saturday, 16 March, 2019. 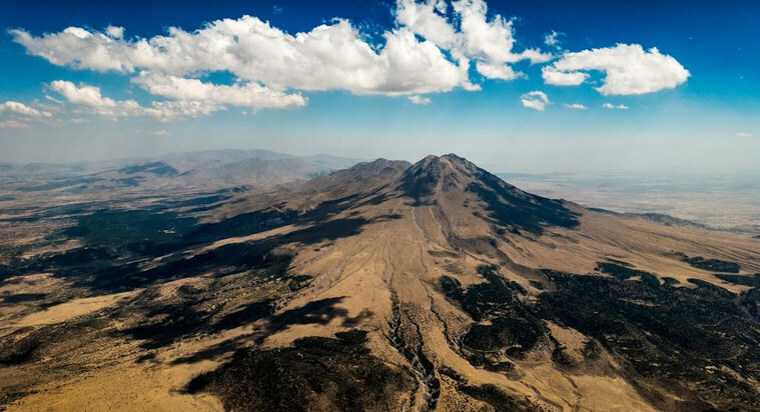 The pilots launched from the slopes of Hasan Dagi, a 3270m dormant volcano. Apart from the mountain the take-off is on, the terrain is mainly flat with small hills and some impressive gorges. 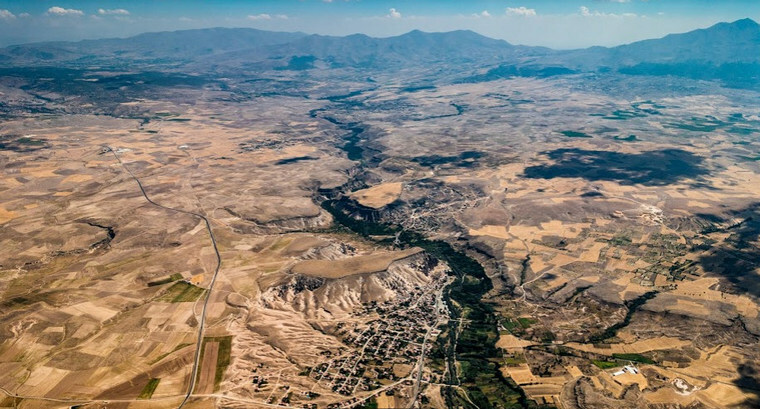 The flying at Aksaray is technical, switching gears often being the key to success. Eight overall World Cup winners took part including the only pilot, Charles Cazaux, ever to have won both the Super Final and the World championships. Three lady's winners will be competing including the petite, but formidable, Seiko Fukuoka Naville. On day three South Africa's Russell Achterberg who was the winner of day two was in the lead again followed by William Hughes with Jonathan Marin in third place. The first lady home was Seiko Fukuoka Naville and Ozone the top placed team. Day four's tasks took the pilots on a tour of the volcano with the first turn point being a cylinder over the volcano. Russel crossed the finishing line three minutes behind the leaders. The lady's, in very lady like fashion, crossed the finishing line in the same order as their overall places this morning: 1st was Seiko Fukuoka Naville, 2nd Yael Margelisch both with 85% of the lead out points, followed by Daria Krasnova with 51% of the lead out points. Ninety pilots landed in the goal field within 18 minutes of each other. Mitch Riley and Charles Cazaux shared the win on day four with Yassen Savov in 3rd. The top three ladies were 1st Yael Margelisch and Seiko Fukuoka Naville. The top teams were Ozone and Parastick. The good news for South Africa is that Russell Achterberg, winner of task two and three, has already qualified for the Super Final. Others to qualify was Mitch Riley who was first in task four and Charles Cazaux who was joined first in task four and qualified as a legend for automatic selection having won the Super Final in 2009 and was World Champion in 2011. Days five and six were both cancelled due to adverse weather conditions. Day seven was not much better with a low inversion out in the flats. 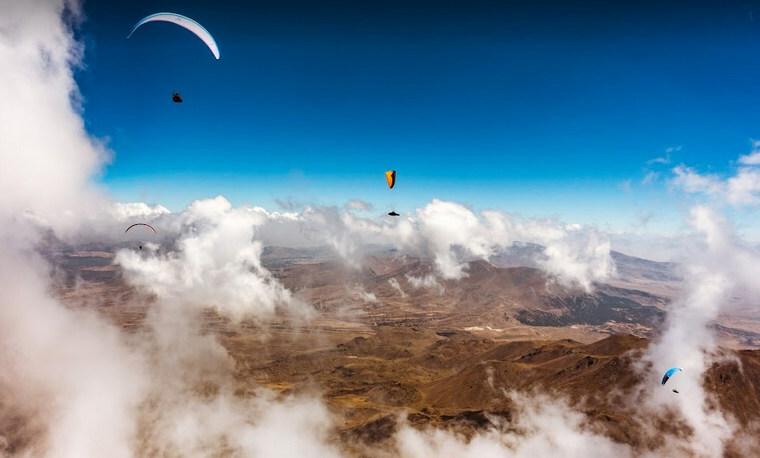 R�mi Godefroy, Hadi Heidari Dastjerdi, Cyril Lambert and a few brave others launch and tried to struggled through it. 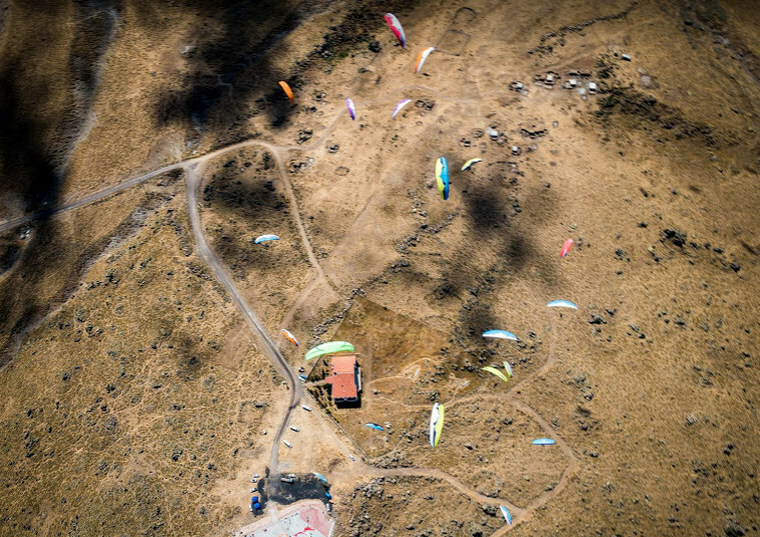 Everyone else, including the South African's Stephan Kruger, Russell Achterberg, Andre Rainsford, Andrew Smith and petite team leader, Khobi-jane Bowden stood huddled on the very front of the paved launch looking down on those struggling out in the flats. Realising the futility of continuing and in the interest of safety the task was cancelled and jubilation erupted in the South African camp when they realised that Russell Achterberg, winner of tasks three and four, was the overall winner of this, the first ever, Aksaray 2018 World Cup. The balance of the next fifteen places went to 2nd Yassen Savov (2180), 3rd St�phane Poulain (2162), 4th Mitch Riley (2154), 5th Hadi Heidari Dastjerdi (2152), 6th Balazs Racz (2148), 7th Michal Sneiberg (2138), 8th Serdar Tur (2132), 9th Jonathan Marin (2131), 10th Yoshiaki Hirokawa (2130), 11th Harry Bloxham (2127), 12th Franck Perring (2126), 13th Jacques Fournier (2120), 14th Seiko Fukuoka Naville (2118) and 15th Gregoire Lombardi (2113). The top 3 ladies to qualify are as follows: 1st Seiko Fukuoka Naville (2118), 2nd Yael Margelisch (2071) and 3rd Daria Krasnova (1902). Well done to Team South Africa who flew the flag high and best of luck in the Super Finals.